This entry was posted on February 4, 2019 at 7:09 am and is filed under Music, art, theater, Transit, Upper West Side/Morningside Hts. You can follow any responses to this entry through the RSS 2.0 feed. You can leave a response, or trackback from your own site. I traveled up to high school in the early 1960s on 59th & 10th from the Lower East Side always getting off at Columbus Circle and wandering the streets, high school quickly forgotten. 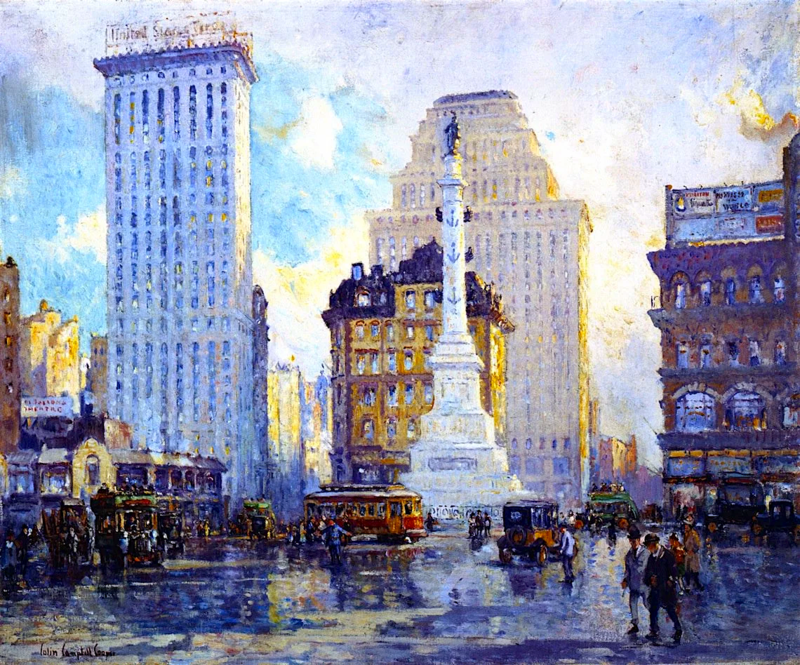 Sometimes four or five of us went down the city streets, often I drifted alone to Times Square… Now matter who I was with the area around Columbus Circle was my introduction of the exuberance of life and mystery that is the beauty of New York! I no longer live there but thanks again for your blog in bringing the past back. Thanks Mick! Always love to hear your experiences. I dont think Columbus Circle was ever pedestrian friendly. I do remember it in the 1960’s having visited the car show at the old Coliseum. And that terrific Judy Holiday movie…before the Coliseum was built where she goes around and around to view her billboard with her face on it. Peter Lawford is the advertising exec – boyfriend trying to get her to give the billboard to him and his company, for a $$$ deal. Thanks Mick for the utube link. The place is the same but the time is long gone.